In this amazing era of Battle Royale games such as PUBG, Fortnite is making its own way out. This game was a huge success when it was released for iOS specific devices and now it is expected to do more on Android. 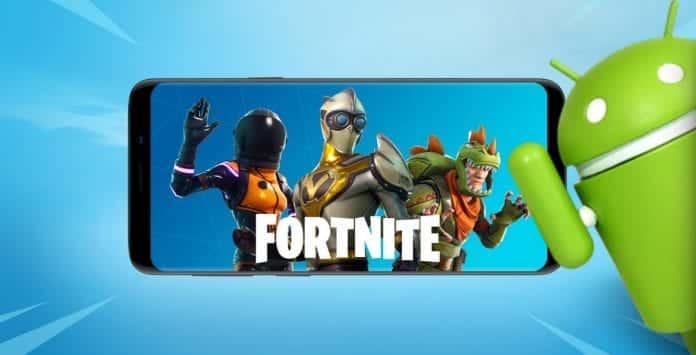 So in this article, we are providing with the ways to download and install Fortnite for android.. But before moving further let’s just do some recap of the earlier Fortnite story. If you remember then Fortnite was exclusively available for Samsung devices only. But that exclusivity lasted no longer and with the help of beta invite codes non-Samsung devices are also expected to enjoy it. 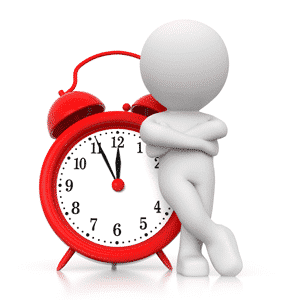 So if you are thinking to have it on your android smartphone then you might have to wait for it. Why? because the game is not available on the Google Play Store. Yes, it’s true. “Epic” the parent company of Fortnite refused to put it on play store. 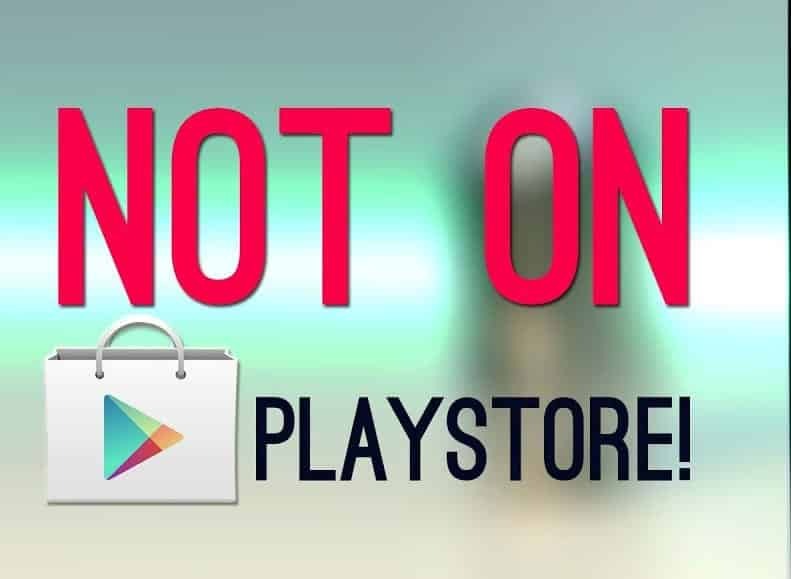 They didn’t want to pay Google 30 percent cut on in-app purchases. So Epic is using its own website and a Fortnite Installer program to distribute the game more widely all across the globe. Epic clearly mentioned that the game is not available on the Playstore so it not officially release. It all makes sense give the beta testing phase it is in. The die-hard fans who want Fortnite for Android can try their luck by taking compatibility test. However, this does not mean that you need to visit suspicious third-party website. So if you really want to feel and enjoy the game then just heave over to the Epic’s official website. You can download it from there. Note : This also implies that if anyone on the social media platform like Facebook or twitter claims to provide the official APK file then consider that as a suspect and avoid it. 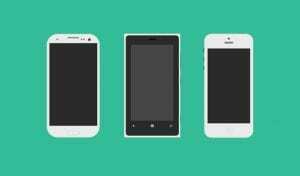 Otherwise, it might harm your device in terms of privacy and software. Besides all this, if you still search for the Fortnite Battle Royale there you won’t find the game. To verify see the image below. Yes, it’s important. 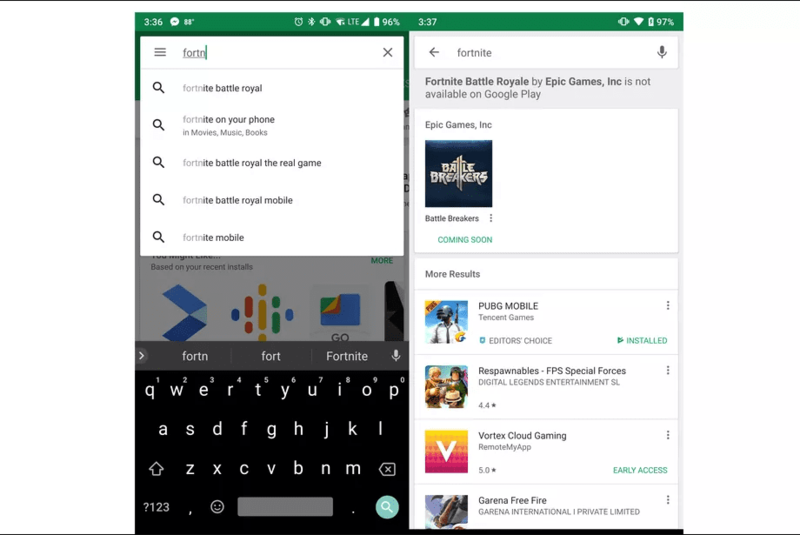 This can save a lot of your efforts if you are serious about installing Fortnite for Android. For instance, if you already own a Samsung device then all you need is to download it directly from Samsung Game Launcher. Or, if you don’t own a Samsung device then you can download Fortnite for Android from Epic’s official website. Attention: For Samsung owners to make this more clear we are providing you with the list of compatible Samsung devices below. Don’t forget to check it. Also, we are adding some non- Samsung devices as well, so keep this in mind. If your device is not compatible for Android beta, then proceed to Step 3. If you don’t own any Samsung device and your device is also not on the compatibility list then all you need is to just wait for it. Yes, this may sound boring to you but this is all you can do it for now. Just sign up for Epic’s beta program. You can do this with your smartphone or by the web through any other device. Epic is only asking for your email address there. Just do it and wait for your turn. Whenever you reach to the front of the queue, you’ll get an email invite. 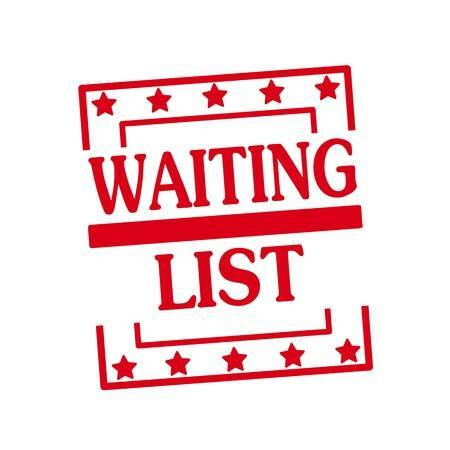 By looking on their network infrastructure and how well the company is doing now, we are expecting very less wait time for the invite. But still, hold tight and have patience. You might receive an invite at any time of the day. So best of luck for that. Even if you are a proud owner of the Samsung device you have to download two separate applications for it. This is due to the unique distribution model by Epic. Talking about the files, one of them will be a Fortnite installer itself which is an official APK file. In order to do this, you first need to turn off the special permissions in your Android settings that allow you to download third-party applications. After doing this there will be a series of download sequences you need to follow. Once you are done with that you should be able to boot up Fortnite. Then there you need to log in into your account and start playing. It is also importantly advised by Epic to keep the Installer program, as it’ll be responsible for updating the game with new patches. So this was all regarding with the ways to download Fortnite for android and install it. If you find it fruitful then let us know in the comment section below, we would love to hear that. Thanks to feed me back as soon as possible.